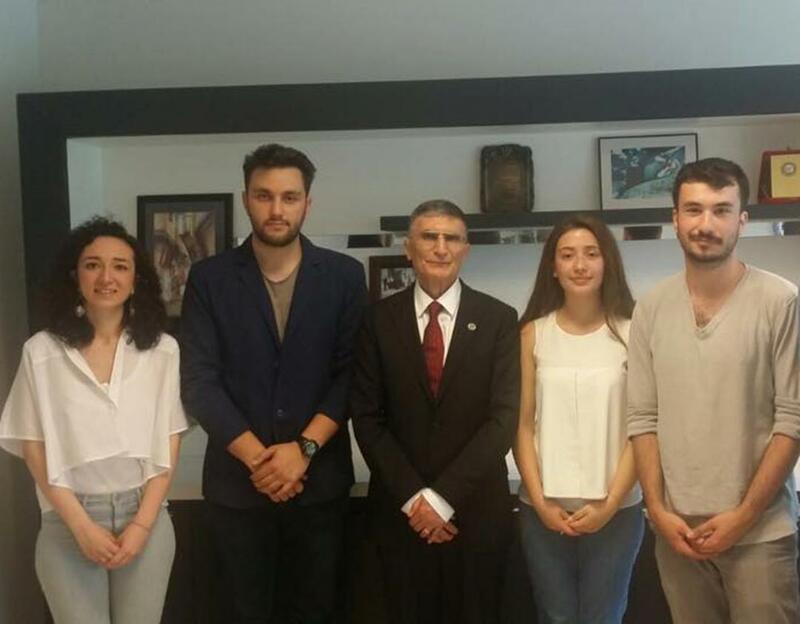 We met with Prof. Dr. Aziz Sancar at Izmir and talked about our project. For years, human practise is a very important component of the iGEM competition and we know the importance of the human practise leg of this multi-segment competition. 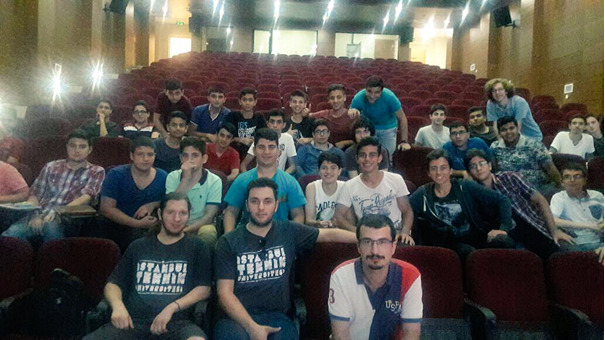 As we know the importance, we decided to do something beneficious and illuminating; we met with high school students, who were successful on their courses throughout the educational year and were on a special science camp organized by Istanbul governorship. Firstly, we introduced young scientist candidates to a concept of developing a scientific project. We encouraged them about leaning on their ideas, and talked about how they can develop an idea, how to find sponsorship for their ideas and how far they can advance on a project. Then, we moved on to the topic “Synthetic Biology” which is our study of interest at the moment. We first explained what synthetic biology is and then we talked about what people can do with the use of synthetic biology. After we explained, discussed and answered their questions about synthetic biology, thirdly we talked about what is iGEM and what are we doing for this competition. We talked about our project and while doing it, we explained the harms of the drugs and expressed why we need to detect drugs in a faster, more accurate and cheaper way. 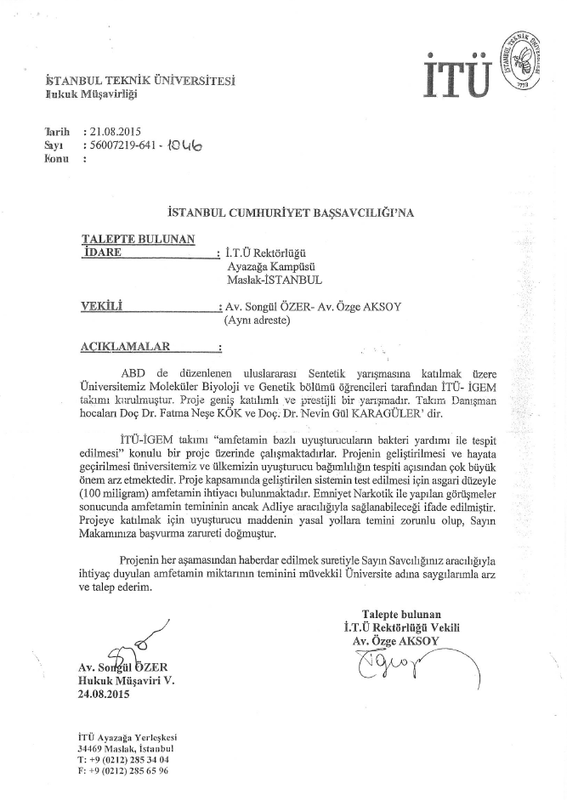 Finally, we encouraged them about joining to the competition for iGEM high school category. Inspiring young minds and illuminating their way to the science was one of the best contributions of the iGEM competition to us. 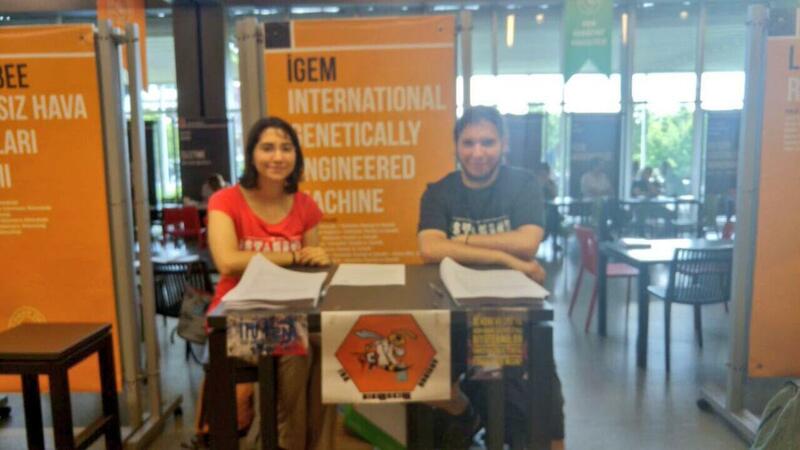 We joined Istanbul Technical University Publicity Day and talked with future ITU students about student projects that they can join in university and of course, we introduced them with iGEM !